Speakers Horeca is the new project of a group of professionals specialized training for Horeca, under the direction of research consultancy, strategy and trend analysis, innovation and strategy, Eva Ballarin. It opens in San Sebastián campus Gastronomika with luxury: Eva Ballarin, Oscar Carrion, Ramón God, Federico Fritzsch and Beatriz Romanos. Directed and founded by Eva Ballarin, Speakers Horeca Smart Management is applied to the HORECA industry. 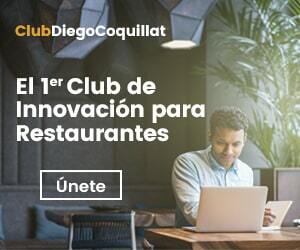 Consists of nine prestigious professionals in the Horeca sector in our country, the goal is clear: add value to the sector itself and beyond, through Innovation. “Horeca Speakers es Inspiration. Horeca Speakers es Training. Horeca Speakers es Divulgation. Speakers Horeca is the Future. Join Transformation ". With this phrase as a statement of intent presented Horeca Speakers, the new draft applied to Horeca Smart Management led by Eva Ballarin, research consultant and trend analysis, Innovation and Strategy and Director of Hospitality Congress 4.0 (HIP). Catering and Speakers, Eva Ballarin is surrounded by nine prestigious professionals in our country with a clear objective: add value to the sector itself and beyond, through Innovation. A) Yes, forman part of Horeca Speakers Manu Balanzino (The Gourmet Journal), Oscar Carrion (Gastrouni), Diego Coquillat (Director of iRestaurant Magazine and DiegoCoquillat.com), Ramón God (Gastrocoaching), Federico Fritzsch (Gstock), Fernando Gallardo (Seminars Fernando Gallardo, The country), Manel Morillo (With pleasure) and Beatriz Romanos (to TechFood, Basque Culinary Center). Catering and Speakers "We work on 5 Great Themes that transform the sector and have them walk towards the future " He explains the director, Eva Ballarin: Strategy and Innovation, Technology and Digitization, Trends and Business Models, Management and New Technologies and Equipment and Training and the Human Factor. "We do this through 27 Executive Sessions y 1 Positioning Workshop, a través workshops, presentations, specialized training sessions through which companies improve Horeca and resolve future challenges they face "highlights. Horeca Speakers born "of a conversation between friends and professionals many months ago" tells Eva Ballarin, adding that the joint and share the same objective vision have been key in shaping the HS team and create synergies among its members that translate into benefits for the sector. "The importance of how we add when we work together, it's key. As a good kitchen equipment room or brigade, Speakers Horeca is the sum of many individuals. Because although each has its activities, companies and projects, It motivates us all working together "highlights. San Sebastián Gastronomika 2018 will host, the next 9 October in the Chamber Hall of Palacio de Congresos Kursaal, Horeca premiere with a powerful program Speakers: 25 Future concepts for understanding the pentagon from management - strategy - technology - talent - digitization, hand of Manu Speakers Balanzino, Eva Ballarin, Oscar Carrion, Ramón God, Federico Fritzsch and Beatriz Romanos. It will be a marathon session nearly four hours led by Manu Balanzino in the Horeca Speakers will reveal the magic formula: innovation + management + marketing + equipment, They will discuss the strategy and innovation as ingredients of success, They talk about why the Smart Employer Branding is the new vision to attract and retain talent, you will discover how technology fosters a la carte transformation industry Food Service and give attendees 5 keys and digital management trends. San Sebastián Gastronomika is the International Gastronomy Conference which is held every year in San Sebastian during the month of October, one of the most important global dining scene and an unbeatable stage for the coming-of Horeca Speakers. During the last ten years, San Sebastián becomes for a few days at the epicenter of the national cuisine and European, one of the most prestigious events in the sector. The carpet of the Kursaal has paraded the "Who's Who" of world cuisine. Y, this year, it will also be part of Team Horeca Speakers, a new opportunity for the sector to evolve and explore new paths.